Find out what makes the Austrian capital tick on this private Vienna city walking tour. 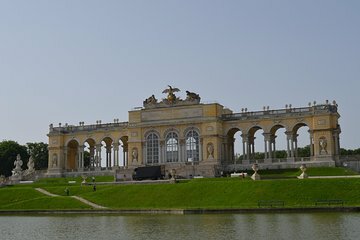 Explore Vienna on foot and by tram with your private guide and discover top attractions including the rococo Schönbrunn Palace, home to the Habsburg dynasty. Take the tram along the Ringstrasse and admire Vienna State Opera, the National Theatre, City Hall and the Vienna Stock Exchange. Stop off half-way through for panoramic views over the mighty Danube River. Take in famous sites such as Sacher Café, the Albertina Museum, Capuchin Church and the bustling Kärtnerstraße. The guide was very flexible to allow us to arrange the order of visits. Since we wanted to see the Schonbrunn Palace we asked to go there first. We were happy to fit in the audio-guided tour. The walking tour was informative.